She's South African Idol's token red-haired indie-rock chick, but don't let twenty-two year old, Jessica Kate Yallup's looks fool you. Behind her rocker image there is a very down-to-earth musician who is humble and modest about her talent and current success. 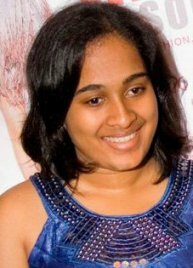 Jess, as she is known to her fans, hails from Umhlanga, Durban, and is one of the three contestants to represent the Kwa-Zulu Natal province in the Top 7. She started to take her career in music seriously at the age of thirteen when she studied Classical Music at school as a subject, although "My first performance was at about the age of nine [when] I sang 'Flashdance' as a solo performance in a school play," says Jess. Jess studied Music, Drama, and Media at the University of Kwa-Zulu Natal, where she also took several Jazz courses, but focused mainly on her acting. She was heavily involved in the drama department, but she dropped out of university when she was given the opportunity to sing at the Barnyard Theatre. 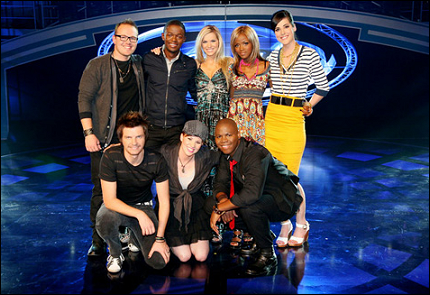 South Africa has grown fond of Jess and her powerful performances on the sixth season of South African Idols. Her fans have dubbed themselves "Team Red". It's quite funny to hear that Jess was walking around a mall just days before the Durban auditions where she spotted the audition posters and decided to take a chance, sparked by an inner feeling. "The audition went well - I am lucky I trusted my gut!" At that time she was a part of the band Sea of Stars, made up of herself, Chris Brink (lead guitar), and Brett Kenton (drums). The band is still together. So, how has the experience of being an Idols contestant been? Jess sums it up perfectly by relating it as being "Three cups of amazing, amazing, [and] amazing - and a teaspoon of nerve-wrecking!" Jess has a powerful voice and a unique sense to her performances. One night she took to the stage on a pair of rollerblades for the show's retro theme. Being an Idols contestant is not an easy task; besides talent they all need to give off their best and work very hard. In a nutshell, Jess says that the days leading up to each Sunday performance (actually pre-recorded on Friday night) is very busy, "[We] have a lot of preparation with the musical director - cutting the song to the right length and key, plus there is a host of other things to do [too]; filming inserts for interviews and styling - it is hectic, but loads of fun!" Jess has a positive attitude towards the contest and takes each week as it comes. She displays a lot of adoration towards her fans, aka Team Red, "THANK YOU! I cannot express how grateful I am for all the effort, support, and love you have all given me!" The fact that she is so accessible to her fans via the various social networking websites makes her even more lovable, as we get to find out the real woman behind that incredible voice! And, if you ask me, I believe that Jess Yallup is going to have a very promising career, whether she wins Idols or not. We are all behind her one-hundred percent! 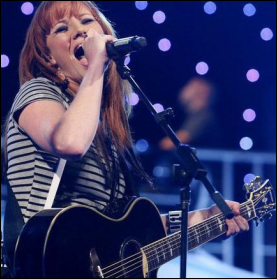 Jess Yallup was voted out of SA Idols VI on the 28th of September during a live results show broadcast for having received the fewest number of public votes. She was given an opportunity to sing her last performance song, "Earth", by Michael Jackson, in an attempt to 'save' her position in the show, but the judges did not defer their decision to the public's votes. An hour after the show she updated her Facebook profile with: "I promise this is just the beginning, and I can't wait for you to hear what our band has in store for you :) Things will happen because we were born for this. :)"
1. If the decision were up to you, would you have had saved Jess Yallup? No. 2. What is your opinion of Jess? She's a talented singer, and no doubt this has been a good springboard for her to develop further. 3. Your opinion on her future ahead? It's a tough industry, but with hard work and perseverance she could make it.